At the dawn of the new millennium we celebrated the birth of our little child: Green Vibrations. The neighbors came “kroamshudd’n“ and we had no “beschuit met muisjes“, but beer and bands. As the years went by, the neighborhood became bigger, we had more boyfriends and girlfriends, more enthusiasts, more haters and the in-laws came to visit. The birthday parties became bigger and more enjoyable. 10 years later we had to move. The house is too small. We moved to the Carillonveld on the campus, close to the university entrance. Nice and green, like you’re used to from us. But in the years our clothes have become too small. We traded the pedal car for a bicycle with training wheels. That’s how we roll. We have bought everything for growth, but if even growth continues to grow, then you will quickly get stuck. Green Vibrations remains a non-profit festival, for and by festival lovers. The entrance fee is still low and the beers cheap. What started as a small get together between the flats at the Witbreuksweg, has now become a Music&Arts festival with deep roots. The festival hosts multiple areas with Techno, Reggae, Drum and Bass, Dubstep, House, Rock, Indie, Future, Psychedelic, Hip Hop and many more. Green Vibrations also has theater, art, foodtrucks, an afterparty, a nitrous bar and last but not least a full fledged Biergarten. 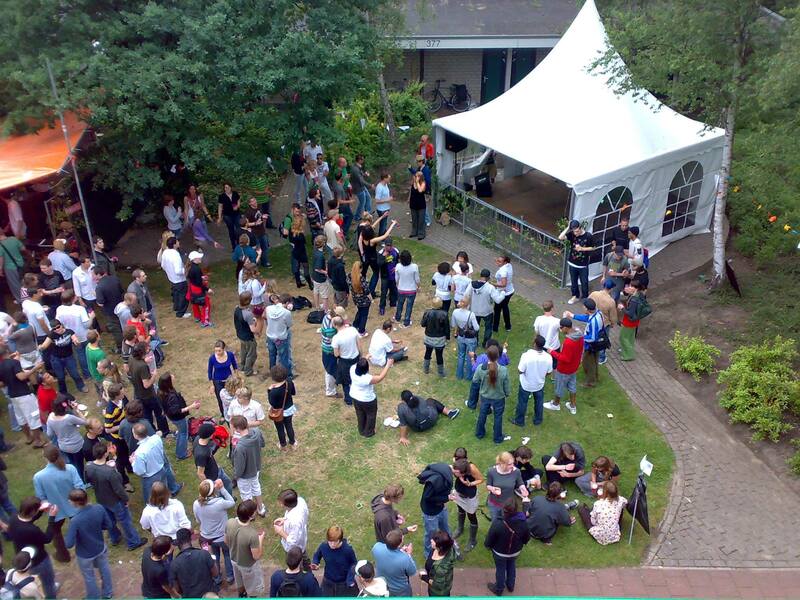 A festival with enough space to dance, chill and play on the greenest grass of Enschede. In the coming years we hope to share more of our green vibrations with the world! Love is there! You too?